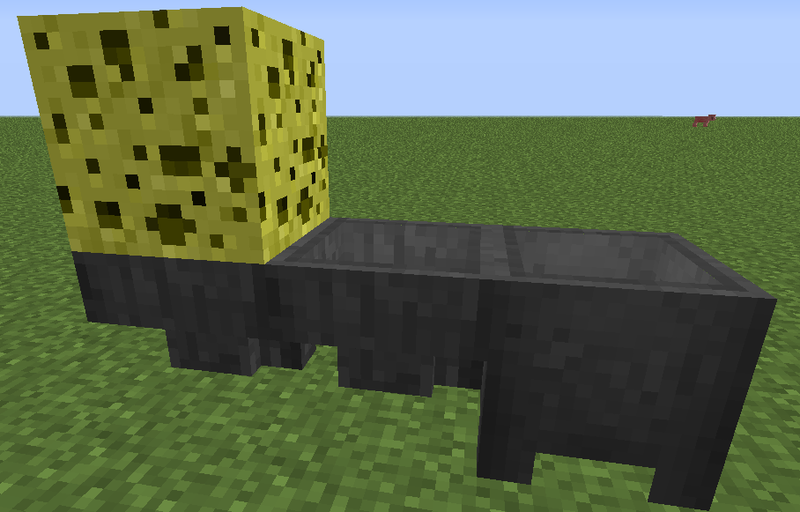 I have an idea for sponge that is simple but useful. What it would do is allow you to place a wet sponge on top of a hopper that is linked to a cauldron to auto fill the cauldron 5 times. 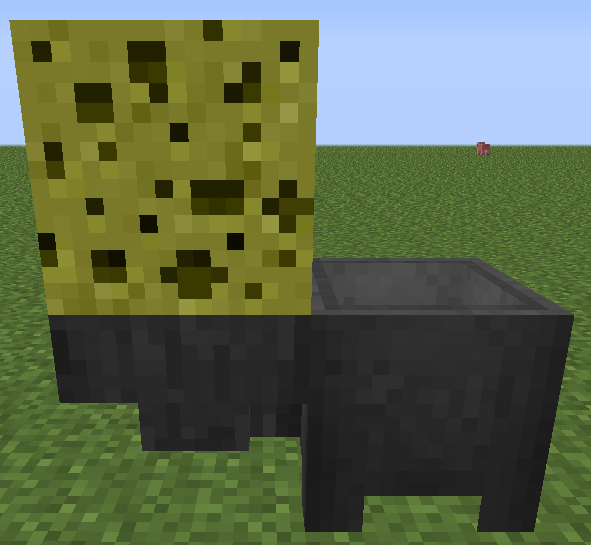 It should be able to work with multiple hoppers to allow players to hide their sponge for aesthetics or fill multiple cauldrons. Also the ability to either place multiple sponges together or have a hopper with a sponge on top feed into another sponge would be useful as well. These pictures ought to explain. ......so your basicly saying infinite water in a cauldron? no support. you obviously didnt read the post, it says in the 2nd scentence that it would only fill it 5 times. And so what if you could make it have infinite water, the same is possible if you make a well in your brewing house and have a bucket there, this is just more convinent. Support. This is a good idea. This sounds like a good idea. It's not obtrusive, and convenient. You can already fill infinite water bottles with 1 source block, and infinite buckets with a 2x2 pattern. I don't see how giving cauldrons slightly more water capacity potential is an issue.